* Total number of reviews and star-ratings are based on data collected during the time period Blue Planet Plumbing has been using the ReviewBuzz system and may not directly match the data found on each public review site. 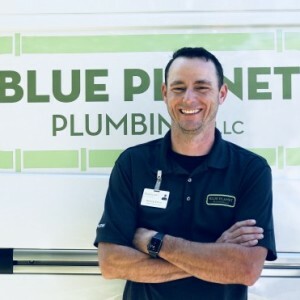 The team at Blue Planet Plumbing are Awesome! Thank you for your help in resolving our hot water issues that our builder and contractors were suppose to do. We recommend BPP of Asheville to everyone. My son had a water leak and it was flooding his basement. After calling around 8 plumbers and them not being able to help us, Blue Planet was able to get there within a couple of hours . They stayed after hours and repaired the leak to get the water back on that night. They gave us a couple of proposals for the problem, were very professional, and explained everything. They also went the extra mile and found a couple of other items that needed attention to avoid bad problems. This was a very positive and different experience then we have ever had with plumbers. They will be used in the future for all our families needs and we will recommend them to everyone! Today I had an appointment with Blue Planet Plumbing LLC. Prior to the appointment I was sent a text message with a very detailed bio of the technician Matthew West. I also received an email introducing me to the team that would be handling my plumbing needs. The text also informed when they would arrive. They arrived at the exact time I had asked for. I usually have trouble getting appointments that work with my schedule. Blue Planet Plumbing had no problem with my request. I immediately noticed Matthew and his co worker Pablo were very professional. They were dressed professionally and were very polite. They not only investigated my initial problem they also answered the many questions I had about a few other plumbing concerns I had. They explained everything very well. I was amazed at how knowledgeable and courteous they both were. I got a much needed crash course in plumbing today. There aren’t enough words to express how pleased I am with the service I received! I would recommend Blue Planet Plumbing for all your plumbing needs. Absolutely the best and most professional plumbing company I have ever seen! I wish there were more companies that took such pride in their work and how they treat their customers. I truly felt like they were there to help me. I will gladly contact Blue Planet Plumbing for all my future plumbing needs. Thank you for your help! Tori was a pleasure to speak with on the phone. 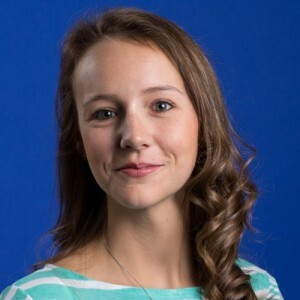 She was very professional, helpful, thorough and helped me get a service pro to my house earlier than my scheduled appointment date. Matthew was very professional, helpful and thorough as well. He went above and beyond to help. He looked at all the problem areas and gave me multiple solutions to fix them at a great fair price. 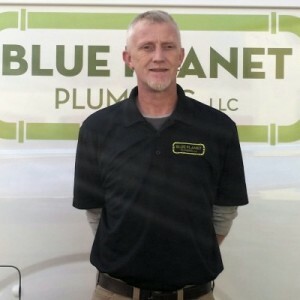 I would highly recommend Blue Planet Plumbing to my friends and family A+ service and 5 star experience. Excellent service all around. Fast and easy scheduling, awesome professionals with honest advice. Everyone I called or emailed was an absolute professional. Been a long time customer of Lakeside. Our experience has always been positive. Their techs are on time, courteous, and obviously very knowledgeable. Our last maintenance check was no exception. Mike was pleasant to work with. Matthew was very punctual, polite, and helpful. I appreciate him and staff helping out my neighbor and getting this job done. Carl was very professional and helpful with our proposal. They are awesome!! Good pricing, very dependable, show up quick, do excellent work. I would recommend them to anyone. Blue Planet Plumbing, Asheville NC, responded to my exploded pressure tank and soggy basement. 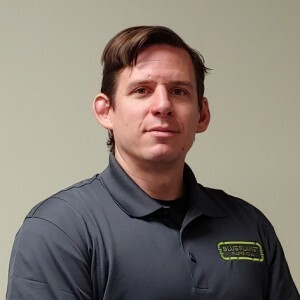 Richard Allbritton, master plumber, and his sidekick Pablo, both exhibited enthusiasm, expertise, and compassion over my shredded water system. They quickly replace the pressure tank and fail associated pipes and joints. We have water again! ... I am very pleased and highly recomment Blue Planet, Richard, and Pablo. Thanks, guys! Carl and Mitchell gave me a very candid assessment of my best course of action on some serious drainage problems in a century old building. After having a less than positive experience with their call center, I did find there staff very professional and responsive. Matthew arrived on time and performed the work in a timely manner. I would recommend them and use them again. Richard came out to the property, gave great advice, was very professional. We were both impressed with the way he gave us ideas about things we could do. He was very upfront about his diagnosis of the situation. Will definitely recommend to anyone who needs plumbing work done. The office staff were very pleasant to d deal with as well. Fantastic service from Matthew West . He diagnosed problem and fixed quickly. Will definitely use your business again, and recommend to others. They came out on time. Did a good evaluation and communicated well. I thought they were fair and knowledgeable. I have never worked with a more professional plumbing company-in any city. I am a landlord and was told that I would receive all of the announcements from Blue Planet that my renter would receive. We were first sent an overview of the technician with his experience and some pertinent history. He sent notice about a 1/2 hour before his arrival and then he was able to work both with myself and my renter. Must confess that the job was more costly than expected - but I don't know comparatives. Excellent experience. 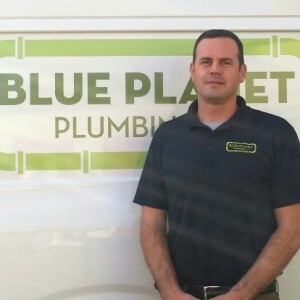 Blue Planet Plumbing Team . Customer service is always a top priority at Blue Planet Plumbing. Our BBB Membership A+ rating is like a badge of honor as we continuously strive to provide the best experience for our clients.